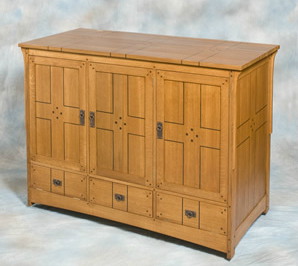 It has a cabinet from with adjustable shelves and flip down drawer fronts for components. 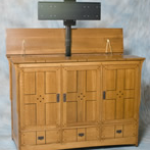 TV rises out of the rear of the cabinet on a TV lift system. 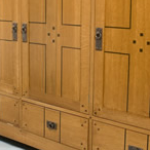 Size of Cabinet depends on the size of TV and lift being used.